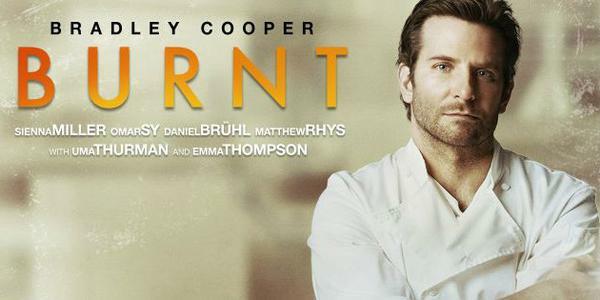 Bradley Cooper stars as Chef Adam Jones, the chef with two-star Michelin rockstar with all the bad habits that accompany the title. He burned bridges and forged new paths by doing everything his own way, his only goal creating a new and thrilling taste explosion. Just like every bad boy turns good story, he’s trying to turn things around in his drive for a third star and he travels home to London to recruit the best of the best professionals ever in order to achieve it. Director John Wells (‘Shameless‘, ‘August: Osage County‘) and scriptwriter Steven Knight (‘Peaky Blinders‘,’The Hundred-Foot Journey‘) created, what looks like a remarkable film with an amazing cast. Cooper leads as Jones while Sienna Miller takes the female lead, they’re joined on-screen by Omar Sy, Daniel Bruhl, Matthew Rhys, Uma Thurman, Emma Thompson and Jamie Dornan. Heading to theaters October 23, 2015. This entry was posted on Thursday, August 13th, 2015 at 3:37 pm	and is filed under Film, News. You can follow any responses to this entry through the RSS 2.0 feed. You can skip to the end and leave a response. Pinging is currently not allowed. « Is ‘Fresh Prince of Bel-Air’ Coming Back To Series?!? !